In addition, the documentary included an interview with Tomer Weinberg who was lucky to escape the tank under Hizbullah attack. Weinberg is heard on the documentary describing at length the circumstances surrounding the attack. “The moment the firing started I realized that it was coming from Hizbullah. I opened the door of the tank, I didn’t look at my friends who were sitting on the back seats and I fled.” A very smart Jew soldier who believes that it’s better to live as a coward than die defending fellow soldiers. In the documentary one of the Hizbullah narrators said: We interviewed the soldier who was injured and who managed to escape but his capture was not part of the operational order which is why we didn’t take him. 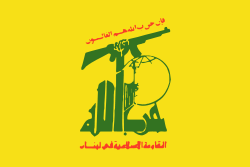 This entry was posted in General and tagged Hizbullah. Bookmark the permalink.